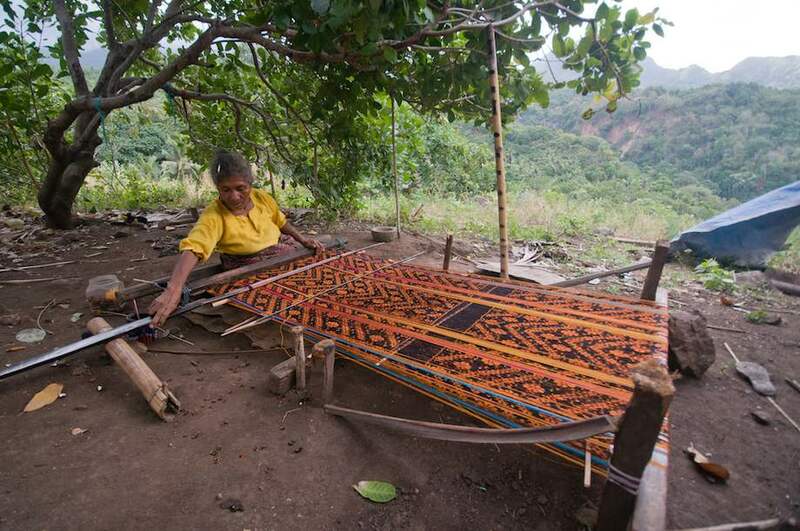 A woman weaves a textile on Flores Island, Indonesia, part of the Wallacea Biodiversity Hotspot. Biodiversity is indispensable to sustainable development and human well-being. It supports agriculture-maintaining pollinators, water resources and fertile soils. It delivers key ingredients for medicines and mitigates climate change by sequestering carbon and buffering people from the effects of extreme weather. And it can become a renewable source of energy and a supplier of material goods. So, naturally, it has an important role in the global sustainable development agenda. In September 2015, the United Nations adopted 17 goals to guide global development efforts through the year 2030. The Sustainable Development Goals (SDGs) seek to improve human well-being by eradicating economic and social inequalities, improving health and education, supporting a healthy planet, and promoting safe and peaceful societies. The Critical Ecosystem Partnership Fund (CEPF) supports the SDGs and the U.N.’s recognition that sustaining a healthy environment is vital to the long-term well-being of people. Through its grantees, CEPF has made and expects to expand on contributions to several of the goals, particularly Goal 15, which focuses on CEPF’s core business—conservation of biodiversity and critical ecosystems. Strengthened management and protection of 45.7 million hectares of Key Biodiversity Areas in 22 biodiversity hotspots. Support for the creation or expansion of 14.7 million hectares of protected areas in 21 biodiveristy hotspots. Contribution to improved biodiversity management of more than 8 million hectares of production landscapes in 18 biodiversity hotspots. At least 1,250 IUCN Red List species listed as Critically Endangered, Endangered, and Vulnerable benefiting from CEPF support. More than 50 projects funded at more than US$5 million focused on reducing wildlife trafficking, with targeted efforts to reduce demand for elephant ivory, rhino horn, pangolins, turtles and tortoises and a range of other species. 2,804 communities receiving non-cash benefits such as improved access to wate and improved food security. 100,000 people benefiting from structured training in topics that lead to improved nutrition, increased income and increased production. Topics include beekeeping, gardening, horticulture, organic practices, sustainable fisheries and sustainable harvest of medicinal plants. Since 2017, the start of collection of data on cash benefits, more than 42,000 people reported to have received cash benefits as a result of CEPF-funded projects. More than 40 coastal protected areas have benefited from increased protection and improved management. Learn more about how the actions of CEPF and its grantees are helping nations achieve the Sustainable Development Goals.